Before having my daughter I never really took too many pictures. After having a baby, things in the photo department change and you want to capture every moment. 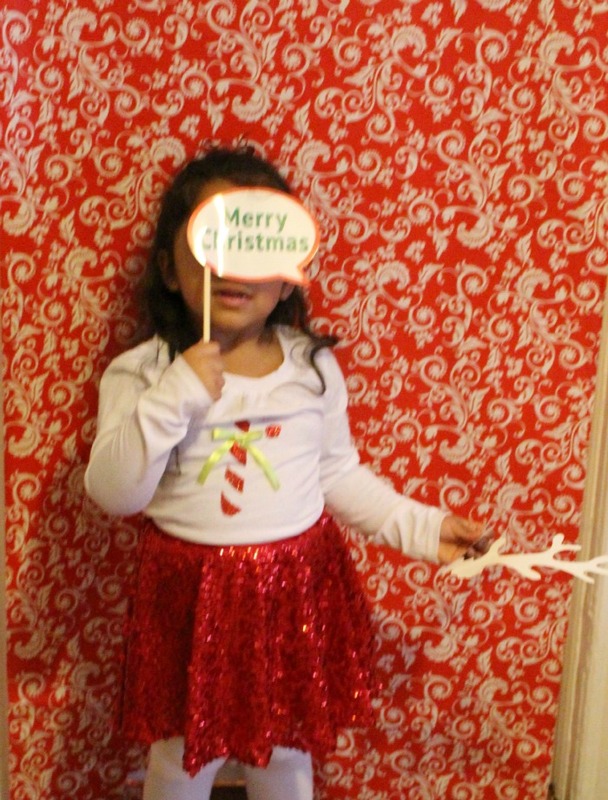 Now that she is three and interested in taking pictures and modeling for me I thought it would be fun to create a photo booth for our Christmas Family gathering. To make the background I just got some festive wrapping paper from my discount store and some over the door hooks. I threaded a long piece of ribbon through the roll of the wrapping paper and tied the ends together. Then I put the over the door hooks on the door at each edge of the door. 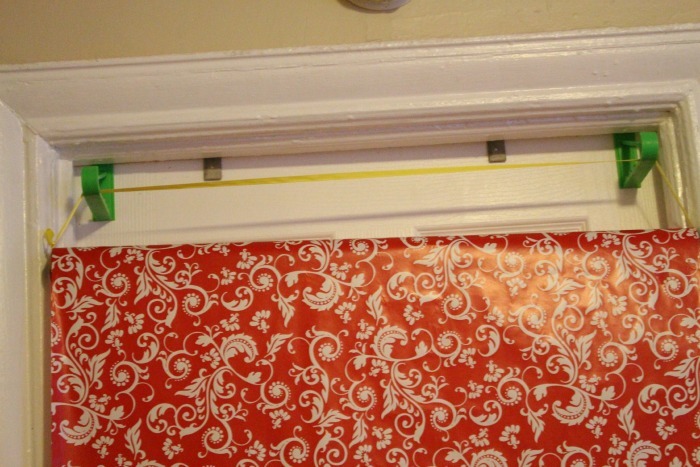 I hung the wrapping paper from the over the door hooks and rolled down the paper to the floor. 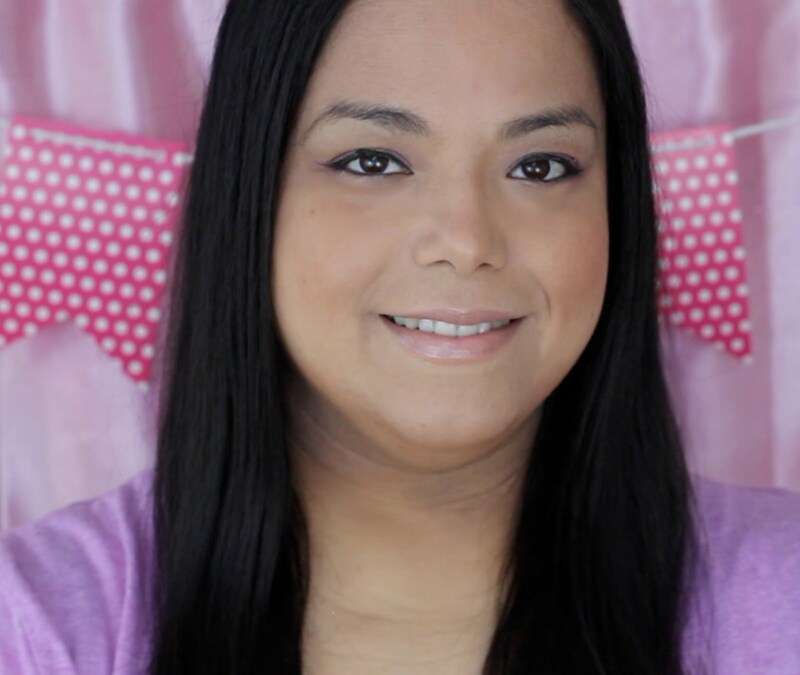 I wanted to make it as easy as possible so I went to my local discount store to search for Christmas photo props. I found some cute Christmas ones for two bucks at one of my favorite stores, Five Below. If you can't find photo props you can download and print some out like these or these. Then you can glue some wood sticks or straws to hold them while taking the pictures. 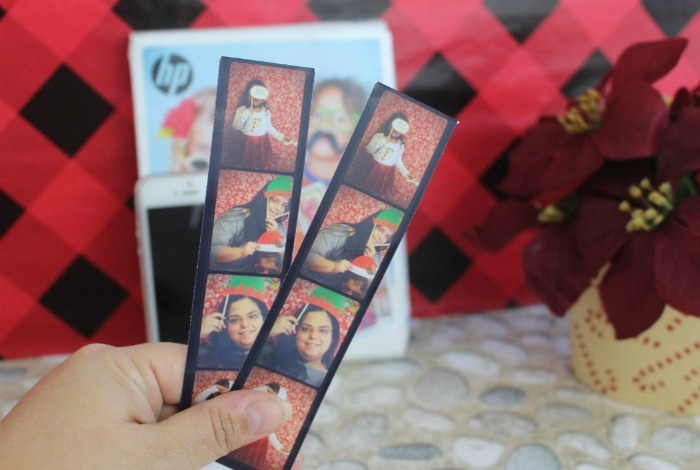 HP came out with the coolest paper that allows you to print your pictures out as photo strips! All you have to do is take some pictures with your smartphone and use the pocketbooth app. To make it easier I use my HP wireless printer and print them out right away. The HP Photo strip paper comes in 50 -5" x 7" sheets that allows you to create 100 photo strips! The photo strips dry instantly, are water-resistant and smudge-resistant. What kind of photo props would you use for your next holiday party? 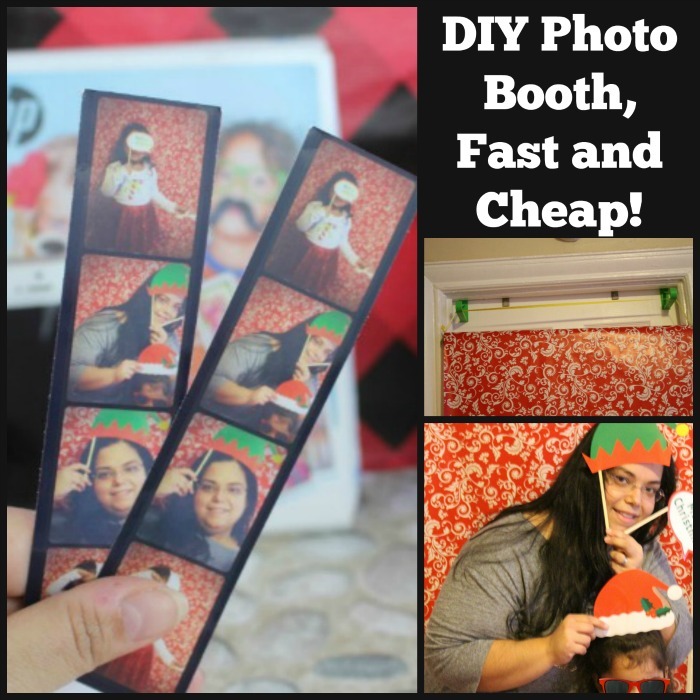 I love the DIY Photo Booth idea - it is easy, inexpensive, and super cute! What a fun idea! We host Christmas Eve, and I know the kids (and adults) would get a kick out of a photo booth. That was super smart to use a roll of paper like that. I won't forget this idea!